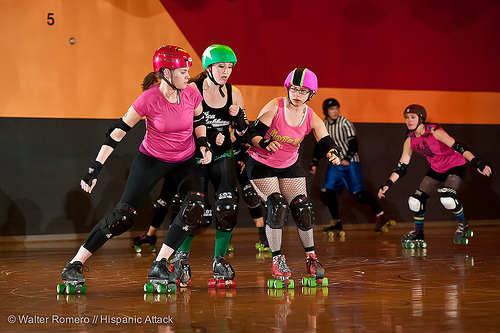 Last month, the Hellions invited Central New York Roller Derby over to Rollarama for a friendly scrimmage! 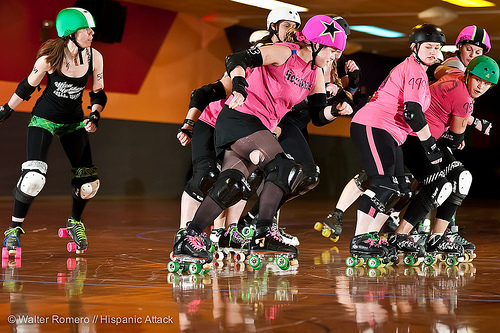 We had a great time, and it's always inspiring to watch how well CNY's skater gel together. Happily, Hispanic Attack also joined the ladies of CNY for their roadtrip, camera in hand! 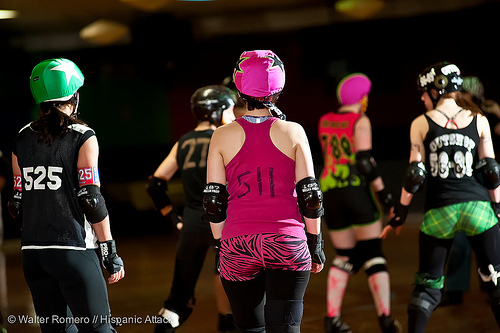 Here are some of my favorite shots from the evening by Upstate New York's premier roller derby photography. Kitty made be little, but she takes up a lot of space on the track! 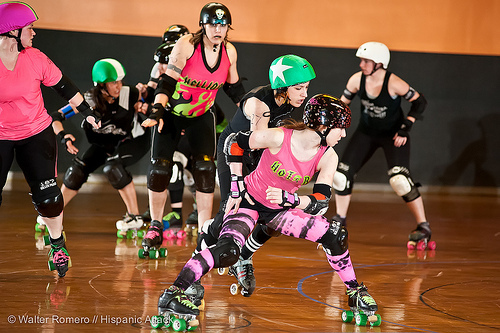 Shockratease on the jammer line against recent CNYRD transfer Addy Rawl. 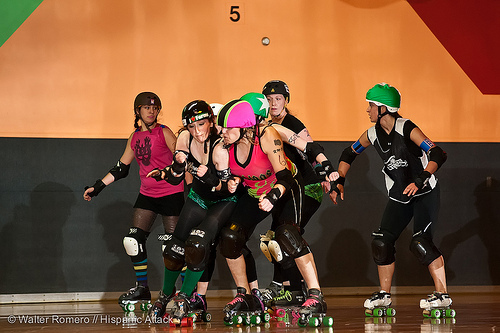 Epic Kate-tastrophe finds her way through the pack. ZOOM! Would ya look at that!